Pleasant loop through riverside forest at the foot of Mount Richardson. Glen Tui Nature Walk • By Waskal. Licence: cc by-nc-nd. 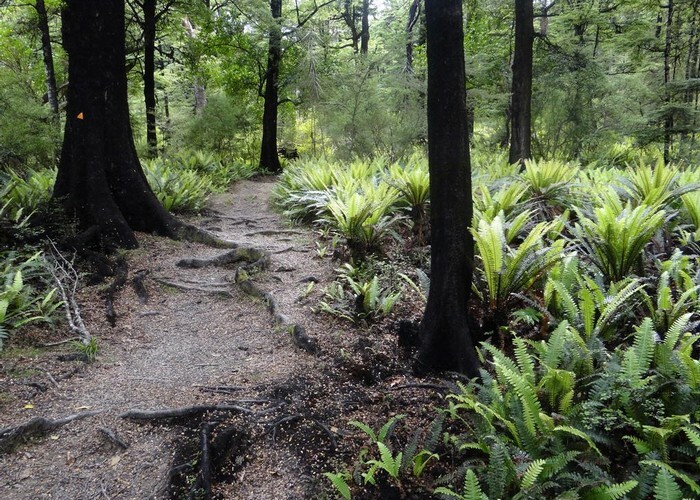 The Glentui Picnic Area is a large patch of grass amongst beech forest at the end of a dirt road. Find it by heading westward from Loburn or north along Ashley Gorge Road from Oxford. Then turn off at the discreetly marked Glentui Bush Road. This track begins vaguely at the foot of the picnic area, dropping down to the Glentui River and climbing gently onto the far bank. It passes the end of the Bypass Track then meets the Mount Richardson Track. 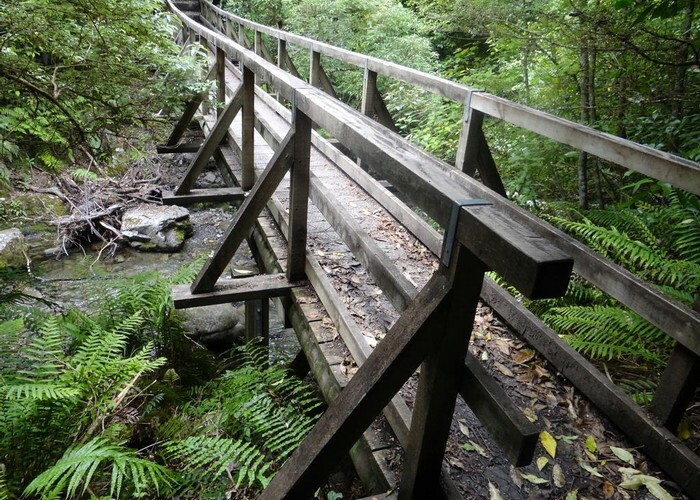 Follow this track back down to the picnic area past a deep waterfall. Added 17 March 2012 by WaskalWaskal. 1 revision 6 August 2012 by MatthewMatthew. 427 views in the past year (36 per month).